With the warm spring weather upon us now is a great time to look at your outdoor property and see how you want to improve and clean it up! There’s so much to maintain and improve outside it can be tough to tackle it alone. That’s why we’re offering you products and solutions for a variety of outdoor property management challenges! Whether your needs are simply cosmetic or you are having issues with maintaining your outdoor property, we offer a variety of tools and products to help you keep your property in great condition. We want to help you improve and maintain your property, so here are a few of the products and services we offer to meet that goal! Spring weather can bring rain, which causes erosion, mud, and rust. None of those are fun to deal with, especially if you have a yard prone to flooding. This is the time to look over your existing outdoor property fixtures and see what might need some updating and repair. 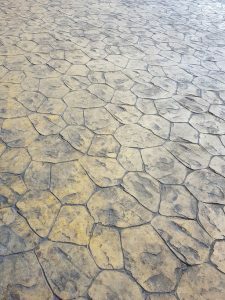 What Exactly is Decorative Concrete ? Concrete is simple and durable. Made from crushed stone, water, sand, and cement, it’s used in 90 percent of homes and businesses. Most people think of a bland, gray, stone-like material, more functional than beautiful. However, recent developments in concrete use have produced something called decorative concrete and it’s changing the construction industry. So what exactly is decorative concrete? Segmental retaining walls have been steadily growing in popularity for a wide range of residential and commercial uses as the variety and quality of building materials has improved over the years. Their popularity is due in large part to the fact that segmental retaining walls are less expensive than poured-in-place concrete walls and more durable than timber retaining walls. The systems are also easy to install and they don’t require mortar or concrete footings. 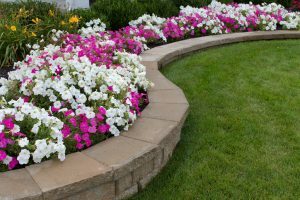 If you’re new to masonry products and construction, you may be asking â€œwhat is a segmental retaining wall?â€ Segmental retaining walls consist of modular concrete blocks that interlock with each other. 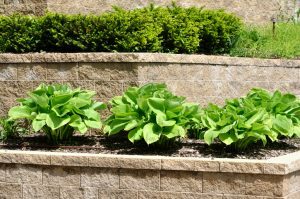 They’re used to hold back a sloping face of soil to provide a solid, vertical front. Without adequate retention, slopes can cave, slump or slide. With the unique construction of segmental retaining walls, higher and steeper walls can be constructed with the ability to retain the force of lateral earth pressure created by the backfill soil. Happy Valentine’s Day! Who knew concrete could be fun and romantic? Here are five surprising and inspirational ways to creatively express how you feel about your loved ones. Don’t forget, you can use these suggestions year round, not just for Valentine’s Day. For those of us in colder weather, it might be a little more practical to wait for the warmth! 1. Set it in stone. Commission a concrete block, inscribed with your favorite poem, quote, or a simple “I love you” message. 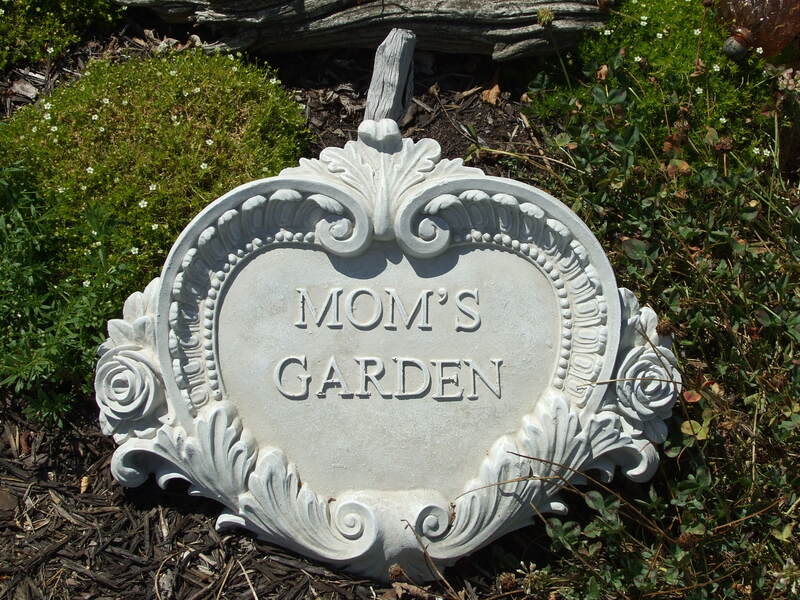 The right design makes a great garden ornament or patio block, or you can also design pieces for the interior of your abode. 2. Give roses that never wilt. Did you know that concrete can be dyed to match almost any color? Let your artistic side shine and design a red rose floor for your garden patio. 3. Build a giant board game in your backyard. 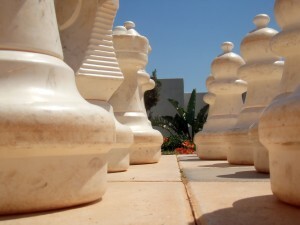 Classic examples include life size chess and checkerboards, complete with lightweight game pieces. Invite your friends over for some live action gaming. You can always think outside the box for something more active, and build your own version of your favorite game. Who hasn’t dreamed of playing Chutes and Ladders in real life? 4. Adopt a fish pond. Concrete makes a great foundation for decorative ponds. You’ll need to test the waters with a pH test kit before you add any fish to make sure your water is safe for marine life. Some types of concrete can contaminate the water with toxic chemicals, and dead fish are never romantic. 5. Add functionality. Sundials are classy and useful additions to any garden, not to mention educational. Show your family and visitors how to tell time by the sun and become more in tune with nature. Do you have any creative or romantic ideas using concrete? We’d love to hear your suggestions on our Facebook page! Have a more “concrete” plan? Contact us or request a quote to get started. Hardscape is a term generally used to define any element of landscaping that is created using materials such as paving stones, bricks, concrete blocks, and other manufactured or natural materials. Typical hardscapes include patios, walkways, driveways, walls, and other hard, manmade features. Hardscapes today benefit from a dazzling array of manufactured materials that come in a variety of compositions, colors, textures, shapes, and sizes. 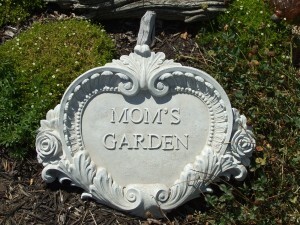 This makes designing beautiful, creative, and long-lasting hardscapes easier and more cost-effective than ever.